Lean about hypothyroidism, endocrine disorders, and what we can do to help. What Are Some Common Thyroid Hormone Issues? How Do You Test For Thyroid Issues? The endocrine system is made up of glands all over your body. These help regulate various aspects of how your body functions using hormones distributed through the bloodstream. 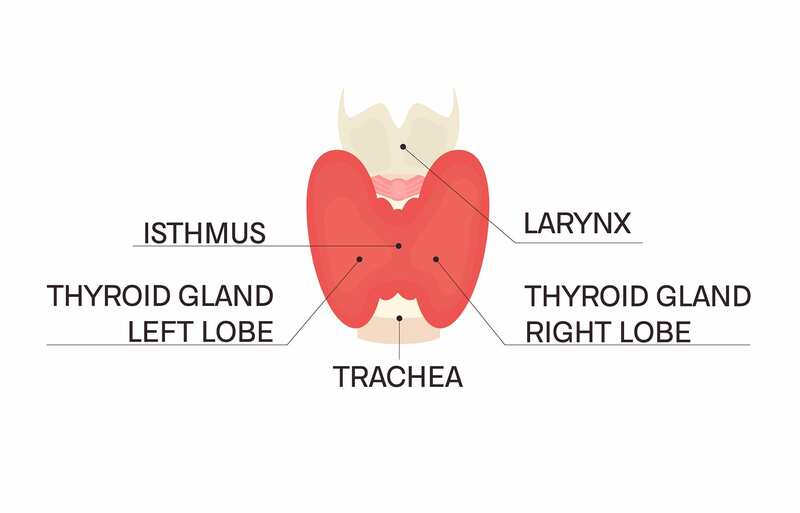 All these glands work in coordination with each other, but one of the most important parts of the puzzle is the thyroid. The thyroid is a small gland located in your neck that produces and distributes thyroid hormone throughout your body. One of the major operations controlled by thyroid hormones is overall metabolic rate. This generally regulates appetite, the breakdown of fats, and the decrease of cholesterol levels. Thyroid hormones also control how fast your heart beats, affecting the distribution of oxygenated blood throughout the body and helping to monitor overall body temperature. Other functions that fall under the jurisdiction of the thyroid are sexual function, sleep, and healthy thought patterns. Thyroids can be affected by a range of issues, but the two most common problems are hyperthyroidism and hypothyroidism. For women, these thyroid issues can lead to specific problems with the various systems the thyroid influences, meaning symptoms can vary far and wide. Hormone imbalances happen on a scale. You can be slightly out of balance and experience some of these symptoms more than others, or you can be far more out of balance and face more intense expression of the problem. Every body is different, and so identifying what is in the “normal range” can be difficult. Only you truly know if something feels out of the ordinary when it comes to some of these symptoms. Hypothyroidism — meaning an overactive thyroid gland that produces too much of the thyroid hormone — and hypothyroidism — meaning an under active thyroid — each have their own unique symptoms, but interestingly they share some symptoms too. How Do I Know If I’m Having Thyroid Issues? Testing for a thyroid disorder can be done with blood tests conducted by Renewed Vitality. At Renewed Vitality, we perform full thyroid panels. The test will reveal the level of thyroid stimulating hormone (TSH), as well as T3 and T4 hormones, and determine whether you are suffering from either hyperthyroidism or hypothyroidism. There are other methods of checking thyroid function though. Imaging studies are also used to test the function of the gland. If a thyroid issue is found, fear not! Treatments are available in the form of bioidentical hormone therapy. Using both synthetic and natural therapies based on individual needs can bring back the balance in your body and reduce symptoms. These treatments are available for other endocrine disorders as well. Unlike other labs, which use chemicals to artificially produce synthetic hormones, we know that natural hormones are far more efficient and less likely to have negative side effects. That’s why we utilize a plant-based source to meet the body’s need for naturally produced hormones.